Charl Schwartzel is a South African professional golfer who plays on the PGA Tour, European Tour, and the Sunshine Tour. He has won one major title, the Masters in 2011. Schwartzel's highest world ranking has been number six, after finishing in a tie for fourth at the WGC-Cadillac Championship in 2012. 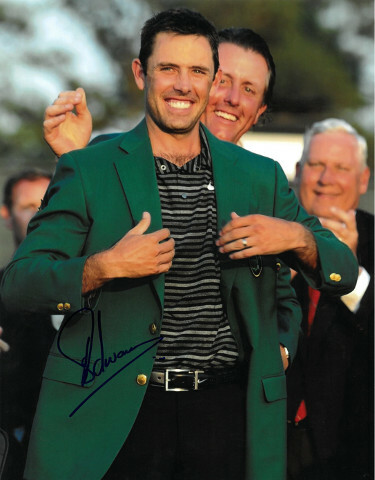 Charl Schwartzel has hand signed this 11x14 Photo. Certificate of Authenticity from Athlon Sports.